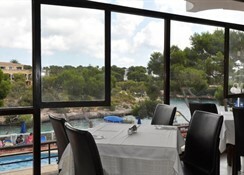 Hotel Cala Ferrera Cala d'Or is perfectly located overlooking the sea and in close proximity to Cala Ferrera Beach. 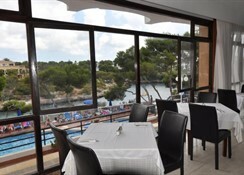 The hotel is sleek and modern and provides guests with the chance to explore everything from the surrounding natural beauty to the centre of Cala Dor. There is an array of beaches in the area with water sports on offer while the hotel comes with a stunning pool and its own in-house restaurant. 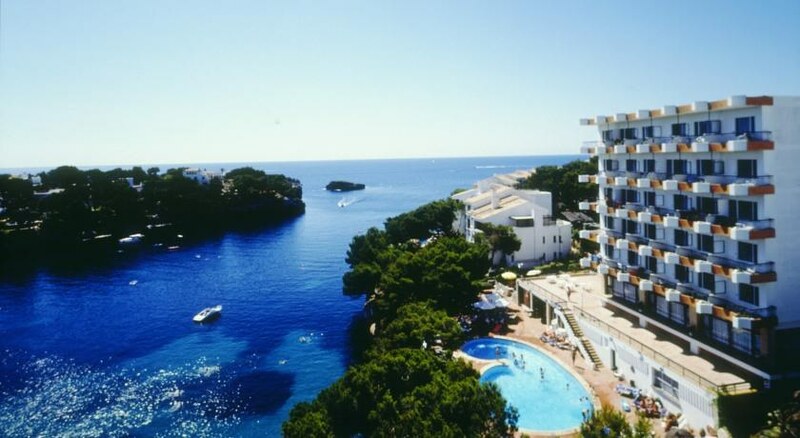 The lively town centre is ideal for families who want something livelier but for those who like their holiday filled with activities and entertainment, then the Hotel Cala Ferrera Cala d'Or is a perfect choice. Guests who like to spend their holiday by the beach won’t get much better than this. The hotel overlooks the glorious beach and the glistening ocean, providing guests with the opportunity to explore the beach or take it easy and soak up the rays. The town centre gives guests the chance to enjoy the more traditional aspect of their holiday while there are plenty of attractions just a short drive away including water parks and golf courses. A huge selection of restaurants and bars are never far away, giving guests the chance to try something different. The airport is 60km from the hotel. The hotel has 160 rooms that consist of Single Rooms, Twin Rooms, Double Rooms and Standard Double Rooms, giving guests plenty of choice. All rooms have amazing beach views and they are all decorated tastefully, offering space and style in abundance. The rooms come with a range of modern facilities such as flat-screen TV, en-suite bathroom, a seating area as well as air-conditioning, hairdryer, free toiletries, work desk, electric kettle and a safety deposit box. Guests can really take advantage of the comfort and relaxation that all rooms offer. 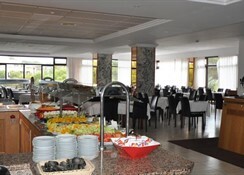 The in-house buffet restaurant is the place where guests can embrace the wonderful atmosphere while sampling a delightful selection of meals all day long. 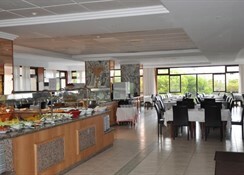 Here they can enjoy breakfast, lunch and dinner where they are served fresh fruit and freshly prepared local and international dishes. 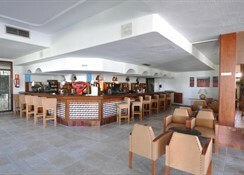 The pub on-site also serves a wide range of drinks including alcoholic and non-alcoholic options but guests also have the chance to go in search of restaurants and bars in the vicinity of the hotel should they wish to do so. The outdoor pool is inviting in every way and the kid’s pool ensures that they have the chance to splash around and play all day long. The sun deck is the place where adults can enjoy a refreshing drink while the kids can get involved in the kid’s club where they can play and have fun in the playground. The hotel has an array of sports facilities including aerobics, volleyball and table tennis but there is also an animation programme that keeps guests entertained throughout the day and the night with games, bingo, dances and shows. For those who like to work up a sweat, the fully-equipped gym offers it all. We loved this hotel. It was in a great location, the staff were really helpful and the food was pretty good too with s good selection. I am hoping that we can go back next year. Would definitely recommend. Spent 3 nights here in end of June on All Inclusive, for a break with 3 friends.Hotel was spotlessly clean, as was pool area. Staff polite and helpful. Food typical 3 star but always plentiful and you could find something to eat. Only downside was the cocktails, because we were all inclusive they were from a vending machine and pretty disgusting. All in all we had an enjoyable time and we would return again. Staff were pleasant and the entire hotel was clean and tidy. The only thing stopping me giving it 5 stars is the fact that the fan in my room did not turn, so it made little difference when on. We really enjoyed our stay at Cala Ferrera. Remember you get what you pay for... The hotel was clean and the staff were friendly and helpful. 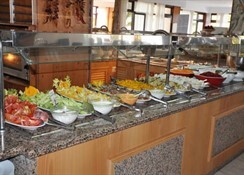 The food was good too, with plenty of choice and chicken nuggets and chips or spag bol for those who don't like choice. The kids loved it and that's all that matters. WI-FI is only available in the reception area but don't let that put you off. The price that you pay for this hotel and the holiday are great value for money. Basic 3 star hotel in wonderful location. Would return.